Welcome to my website, home of Minnesota fantasy author Douglas Van Dyke Jr.
My current focus is on the fantasy world of Dhea Loral, (Hero’s Table), which was the setting for a homemade role-playing campaign. It is a land rich in heroes, magic, legends, and ambitious gods who plot to circumvent the restrictions placed upon them by a Covenant. I’ve been a reader of fantasy since I was young, and Dhea Loral was created due to the “plot holes” and other trouble I had with the way some fantasy stories were written. Information for purchasing my books can also be found on the link to published books (to the right). Follow a link to a specific book and learn more. I will keep updates on the status of book releases, author appearances, and book signings. You can follow the link that explores the World of Dhea Loral to learn more about the setting for many of my novels. If anyone out there is an aspiring novelist, you may consider the links page for people that helped me turn my dreams into reality. Want to keep up to date? Join the mailing list to be updated on book news, blogs, and promotions! 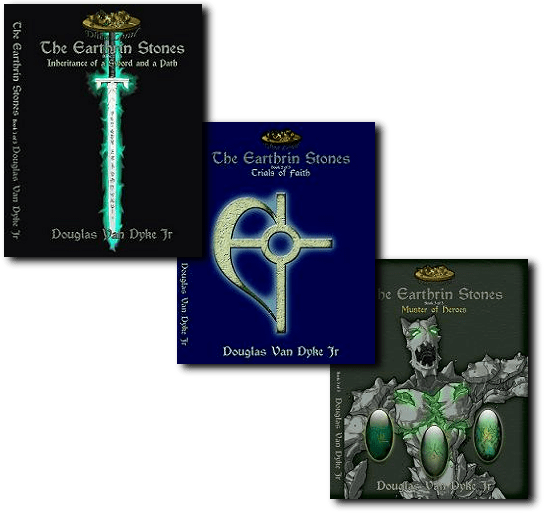 The Earthrin Stones is the introduction trilogy for Dhea Loral. Several character and exotic locations give you an introduction to my world. I’ve been complimented not only on the depth of character for my heroes, but also lauded for the bad guys. 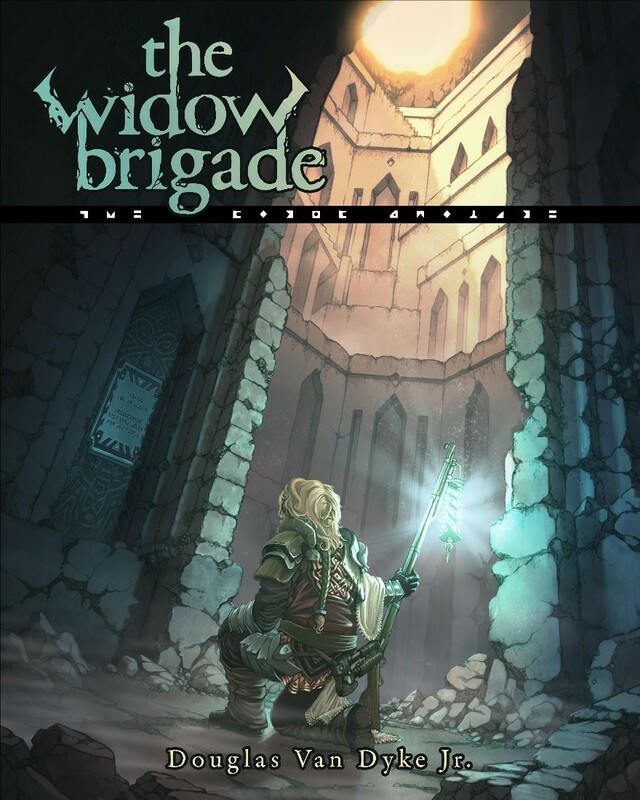 The Widow Brigade takes a heartfelt, dramatic look at a specific storyline in Dhea Loral. 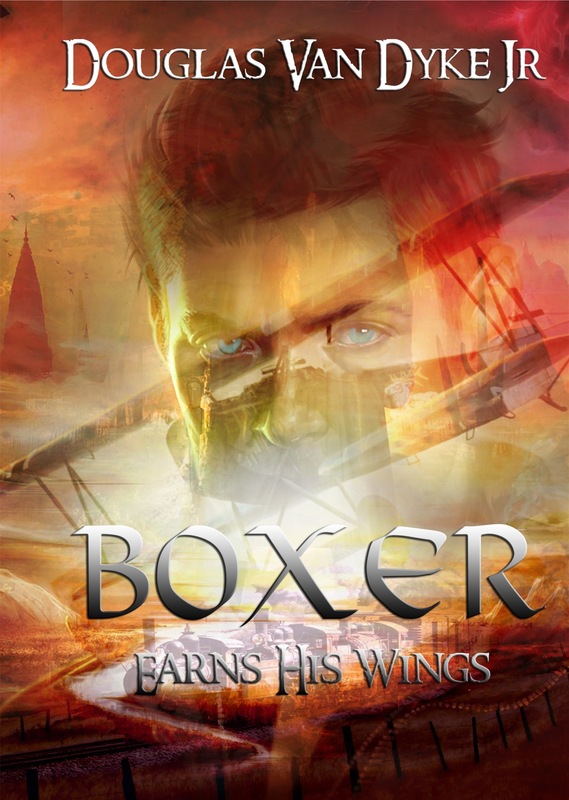 Even for those who don’t particularly read fantasy, Duli’s story has consistently kept them from being able to put the book down, according to reviews. I’m even opening up my focus to other genres. Boxer Earns His Wings is Steampunk meets the Wild West, in the style of the old 1930s action serials that inspired Indiana Jones. One reader said it was a nice throwback to dime novels. If you wish to contact me, please do so by visiting my contact page.